This electronic consultation is an informal discussion forum to exchange views and information among the subscribers during the month of February 2010. It is a prelude to a face-to-face workshop which will be held in Brazil from 23-26 March 2010, co-organized by FAO, Embrapa, IFAD and IICA. From 1-5 February: Promising integrated crop-livestock systems and innovations that merit mainstreaming and scaling, and the tactics for implementation (including: technical designs of integrated systems and their economical, environmental and social dimensions; functional biomass production for multiple use; Farmer Field Schools, Farmers Clubs, Cooperatives, Associations etc for participatory farmer learning and adoption, and for economies of scale and competitiveness; knowledge services and communication needs, common resource management issues etc). From 8-12 February: Input and output market linkage development for promising crop-livestock systems and associated input and output supply chain processes and public-private service providers for different production systems and diverse markets (including: constraints and opportunities in input supply chains covering production inputs of seeds, agro-chemicals, farm power, equipment and machinery, veterinary services, advisory and innovation systems on good farming practices, marketing infrastructure and organization forms etc; constraints and opportunities in output supply chains covering animals for meat, milk and other dairy products, hides and skins from cattle and small ruminants, and meat and eggs from poultry, and meat from pigs; and opportunities for processing in integrated production systems etc). 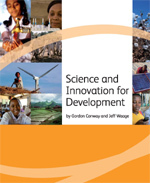 From 15-19 February: Political will, and policy and institutional support for the adoption and enabling the spread of innovations and practices associated with promising crop-livestock systems for food and nutritional security (including: sector policies, goals and strategies; strategic planning; enabling environment including infrastructure, credit, marketing, insurance, land tenure etc; tactics for action, incentives, regulations, strategic directions for change in extensive and intensive crop-pasture-livestock systems etc). From 22-26 February: Research needed to generate knowledge and innovative practices to underpin farmer adoption and scaling of promising crop-livestock systems for sustainable production intensification (including: technical, biological, nutritional, landscape, economic, environmental and social dimensions of integrated systems and practices; on-farm and area-wide integration of crop-livestock systems; functional biomass production and prioritization of its multiple role and use; feed and nutritional formulations; animal health management; effective innovations systems and processes; linking research result to policymaking etc). ii. Capturing public goods and incentives for action (payment for environmental services, special market access based on adoption of good practices – including food safety and quality, global awards to private sector and civil society champions, etc).